The Gnu Chromatic is a directional twin with a centered stance on sidecut but it seems that there is a good bit of set back on board. 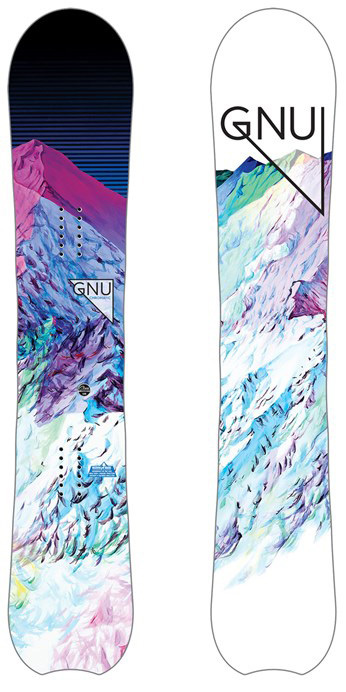 This makes it a pretty versatile board for all mountain freestyle riding on groomers but thanks to the longer nose than tail, you will have a little more directional float than your average centered stance twin if you set it all the way back on board when there is a powder day. We try to get as many images of the Gnu Chromatic, but forgive us if they're not all there.